Apologies for the hiatus, loyal Readers. 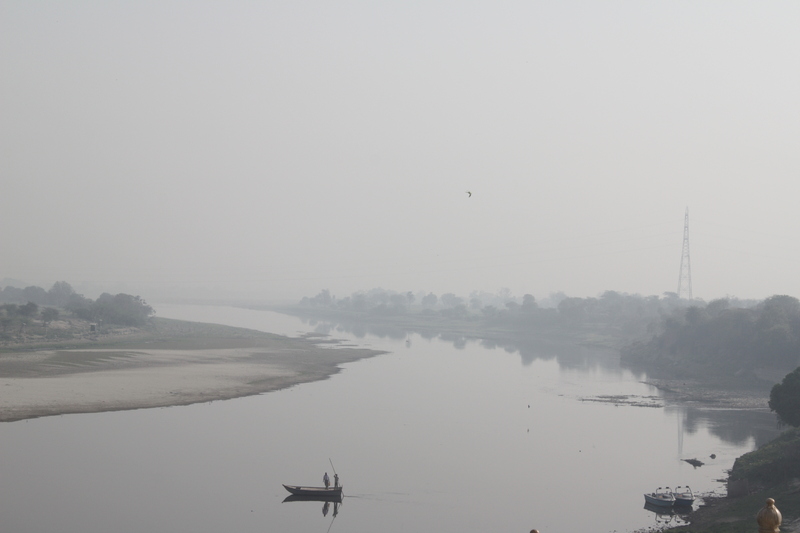 With only a knapsack of mosquito repellent and E.M. Forster, we have been voyaging around some of North India’s classic tourist destinations: the ‘Golden Triangle’ of Agra and Jaipur (along with Delhi). I lurched out of a sleeper bus coffin just a couple of hours ago, so please imagine these ramblings read with a slight misanthropic slur and odour of feet. 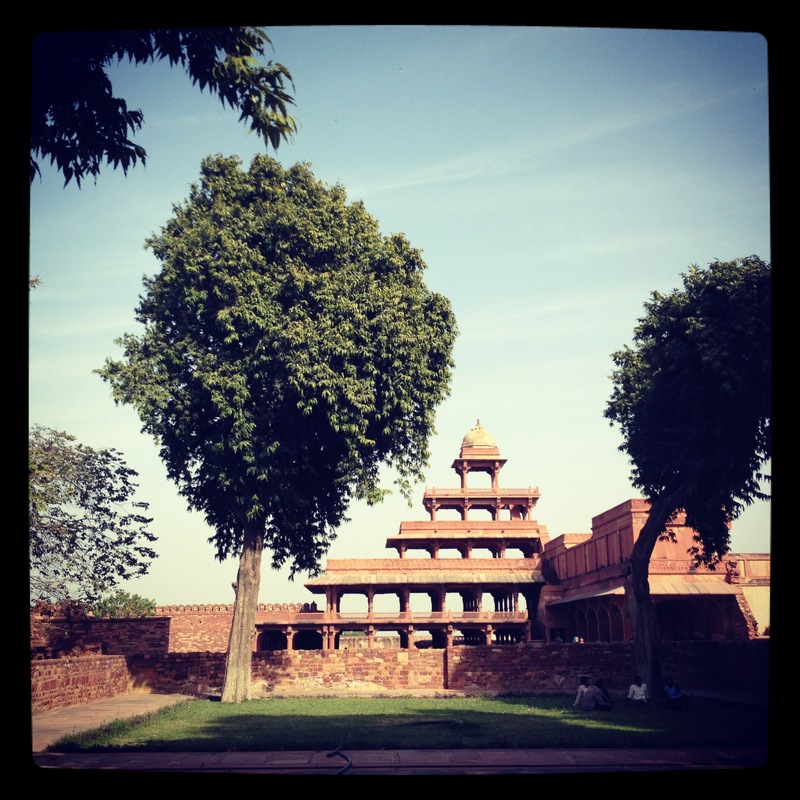 Arriving in the early afternoon, we first headed to the beautiful Mughal ghost city of Fatehpur Sikri. Briefly Akbar’s imperial capital but hastily abandoned once they worked out they’d forgotten the minor problem of access to water, its subdued majesty was only somewhat dulled by the beating heat and the vaguely threatening demands for mosque charity. En route, we became ensnared in a gigantic procession for the goddess Kaila Devi. Thousands were on the move: middle-aged women with handbags on their heads, mothers hauling patiently unconscious babies, carts with garlanded statues, trundling ghetto blasters accompanied by wildly gyrating teenage boys, placid herds of stationary trucks. Unfortunately, this caused our taxi driver to become enraged: Horn. Drive onto verge and roar along for five metres on the left. Stall. Horn. HORN. One, then two autos pass, driving on the wrong side of the road. Force self across two lanes of traffic and jubilantly roar along for five metres on the right. Stall. Horn. Finger drumming. HORN. Another auto passes in the ditch on the left. Outrage. Force self across two lanes of traffic again. Stall perpendicular to traffic, blocking all three lanes. HOOOOORN. 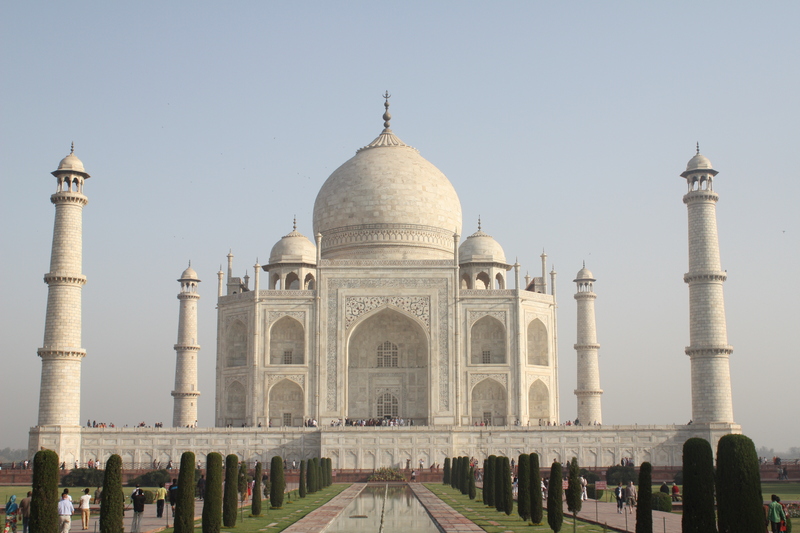 By accident or design, I’ve visited India four times—eight months and counting—since 2008 and managed to avoid the Taj Mahal. Wonder of the world, crown of palaces, monument to undying love, greatest flower of Islamic loins, etc: let’s just say I was looking forward to it. Alas, that particular morning I was seized by what the Indians euphemistically call Loose Motions. Of course, this was an essential part of the experience: I have greeted the spatter of authenticity with great joy in all the corners of India I’ve visited, from Amritsar to Nagaland, Mussoorie to Cochin. My sympathy with this national obsession was reinforced the last time I was in India, when (a) I was working on the Great Toilet Paper for Unicef and (b) my landlady, a woman known only as Auntie, would discuss the Motions in great detail each morning with the alarming fluency we Britishers reserve for drizzle. Imagine my delight as the tradition took hold just as we glimpsed the 6.30am queue, dense with braying hordes of sari-clad blonde Oklahomans. ‘Madamji, toilets are inside Taj only’—I threw myself upon the mercy of an entrepreneurial ten-year-old and a bemused seller of ceramic Tajs, thrusting handfuls of rupees (what price dignity?). Once inside, I sprinted. My first glimpse of the Teardrop on the Face of Eternity was at high speed, muddied by the gurgles of equally fortunate Oklahomans. Conclusion: through tourist goggles, India is quite scary and dirty, but some Muslims once built pretty things. 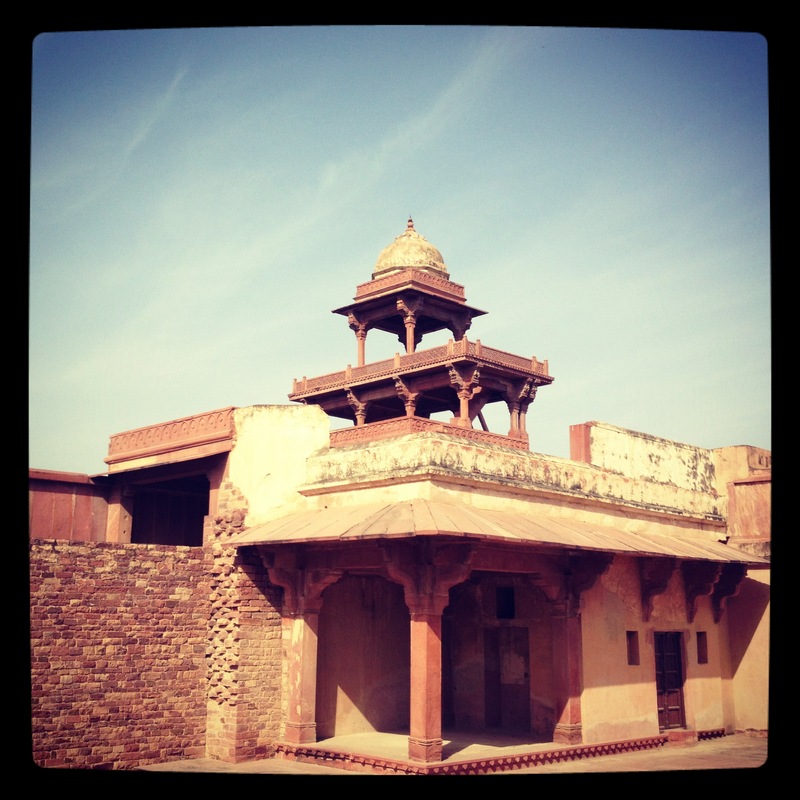 Next instalment: a jaunt to Rajasthan.